2018 the 20th TCA is all about Ariana Grande, Taylor Swift, Demi Lovato, Bruno Mars, Drake, Ed Sheeran and many big names. Missed the election year spirit night? Then you can't miss the chance to download Teen Choice Awards 2018 that embraces all the big blockbuster movies, hit songs, TV shows of the year. Follow the guide to catch the award most-anticipated nominations and predicted winners, and download Teen Choice Awards of 2018 HD MP4 video, full show, highlights or awarded songs, films, TV shows free from YouTube, Dailymotion, Vimeo, Facebook, Instagram, and other 300＋ sites. To watch summer's only awards show and performances offline, you can resort to MacX Video Converter Pro, a clean and fast online video ripper. It brings you the opportunity to download HD MP4 videos songs from Teen Choice Awards 2018 free from YouTube, Dailymotion, Facebook, Vimeo, Instagram, Metacafe, and other over 300 sites in a few seconds without stuttering. 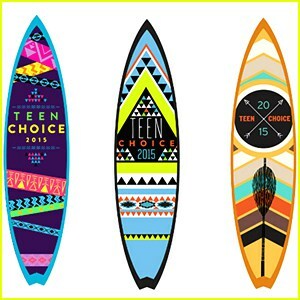 You are free to download 2018 Teen Choice Awards full show, music video and even to download 2018 Teen Choice Awarded Song movies TV shows 1080P, 720P, like Pretty Little Liars, The Flash, Car 3, etc. as well as convert the 720P, HD 2018 shows & awarded songs video to MP3 AAC audio, or any other video formats for iPhone, iPad, Samsung, Apple Android mobile devices. Follow the guide below to download 2018 Teen Choice Awards. 1 Download Windows version, or Free download the video downloader Mac version and run it on you computer. Copy and paste the video URL to the box. Click "analyze" to load the award shows video details. 2 Choose video format, resolution and file size that you want. 3 Click "Browse" button to specify an output folder on your computer to save the grabbed 2018 Teen Choice Awards video, full show or clips. 4 Hit "Download Now" to start the Teen Choice Awards 2018 full show music video clips free download process. Then batch transfer the video files to iPhone iPad mobile devices with iTunes alternative. Download 2018 MTV VMA video, get more highlights! Check out the most eye catching categories in movie, music, TV shows and predicted winners below. Fans can vote, and download Teen Choice Awards 2018 awarded movies, songs, TV shows, download Drake album, Adele singles, Rihanna 2018 new song, Rock on now! Teen Choice Awards 2018 free download is not the only task that the program can handle. Follow the same guide, you can download 2018 Teen Choice Awarded free movies, trailers, TV shows, like Cars 3, Moana, Doctor Strange, Pirates of the Caribbean: Dead Men Tell No Tales and more. All the nominated movies are the best movies of 2018, big gainer of the year. 2018 is shaping to be a good year for Pretty Little Liars and The Flash. They lead the nominations in 2018 TCA TV shows. Good news for music lovers who are going to download Teen Choice Awards 2018, as you might have guessed out, you are free to download any free winner songs coming from the show, you can achieve all of these, together with Teen Choice Awards 2018 full show video download.